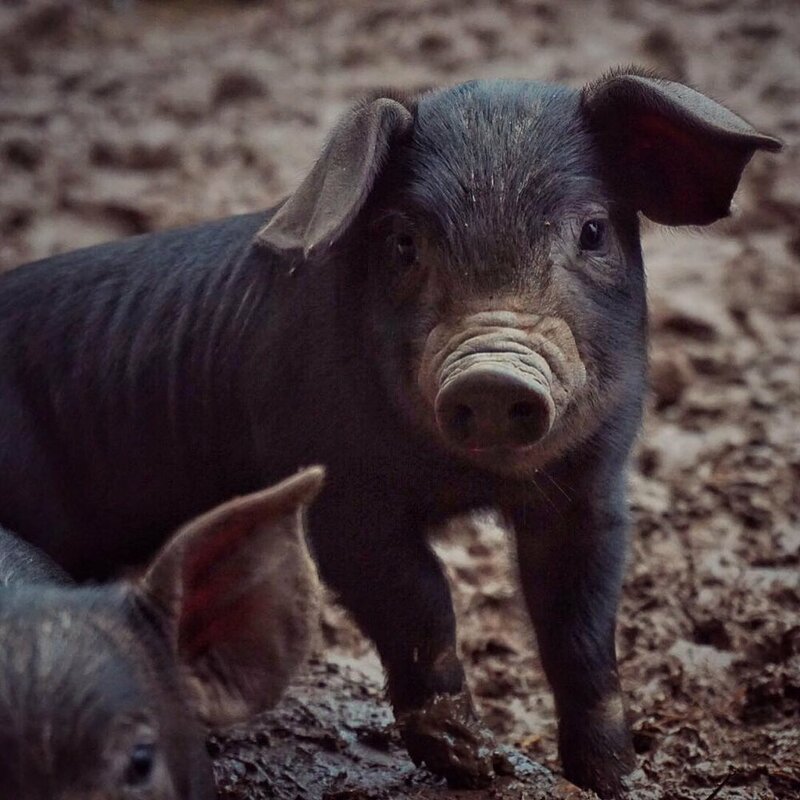 Choose from our range of rare-breed woodland raised pigs to find a pig that suits your needs. We will then raise the pig for you, tending to it and feeding it, so you don’t have to get up at the crack of dawn in the pouring rain. We can raise your pig to your specification whether you’d like a nice big baconer or something with plenty of fat for home charcuterie. You’ll get monthly updates on your pig and are welcome to visit anytime, and they always like visitors with treats. You’ll get about 40kg of meat off a porker pig, and about 55kg of meat off a baconer. If you don’t have the freezer space, you could always go in with a friend. The own-a-pig scheme makes a great unusual gift. At the end of the road we will sort out all the paperwork, and take your pig to the abattoir, and you can decide exactly how you would like your pig butchered, whether you would bacon, chops, shoulder or sausage, the choice is yours. This price covers all the costs of rearing the pig, like vets, medicine, feed, housing, abattoir and butchery fees, paperwork and it also includes delivery. We can do you a hog whole, for a hog roast, or leave the bacon for you to smoke at home, or give you a whole side of pork for you to butcher yourself, just let us know and we can work it out and adjust the price accordingly. We ask for a deposit of £100, with the rest payable on delivery. Give us a call or drop us an email if you’re interested, and we’ll take it from there.